After graduating from Ursinus College with a degree in mathematics, I began my career as a high school math teacher and basketball coach at Marlboro High School in Central NJ. In 1992, I was hired to teach at Eugene A. Tighe Middle School and began my multifaceted educational experience that has now entered its third decade in the Margate City School District. 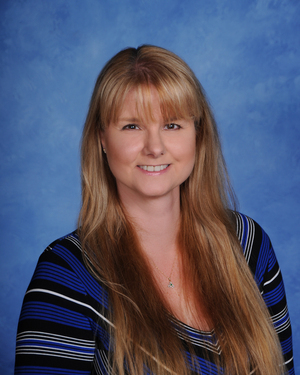 I have taught math, reading and language arts, basic skills, library, and gifted classes. A sabbatical leave in 2000 provided me the opportunity to complete leadership projects and work daily with the building principal, Mr. Philip Munafo, as I completed my Master's degree in Supervision and Curriculum Development from Rowan University. Upon receipt of my graduate degree, I began my role as Margate's Curriculum Coordinator in 2001. Over the years, my role expanded to include all elements of instructional technology, so I continued my education with graduate work at Richard Stockton College of NJ in the Master's of Instructional Technology program. During the period of November 2010 through March 2011, I worked as the Interim Principal at Tighe School due to a maternity leave, and in 2014 I was promoted to Supervisor of Instruction to facilitate more responsibilities in the district, specifically adding the ability to complete and monitor teacher observations, mentoring, and professional development. Thanks to the cumulation of many years of experience and knowledge acquisition granted through my work in the Margate School System, I was honored to earn the role of Principal for Tighe Middle School in the fall of 2014. Our school mission is to provide a strong, contemporary education to all our students that will better prepare them for high school and beyond. I have the utmost respect and confidence in the staff at Tighe, as we strive to work with our parents, guardians, and students to make our middle school shine. On a personal note, I live in Margate with my husband and two children, all three of whom attended Margate Schools from Kindergarten through Eighth Grade.